Bottle made from 25% post-consumer recycled plastic.Questions? 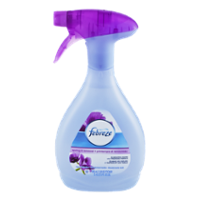 1-800-308-EASY (3279).www.febreze.com.2012 P&G. Elevate your Spirits. Ask for the master. Elevate your spirits with the perfect apple-tini. Sweet 'N Low Brand Zero Calorie Sweetener.250 packets.Each packet as sweet as 2 tsp. sugar. Kellogg's Froot Loops with Fruity Shaped Marshmallows.Excellent source iron.Sweetened multi-grain cereal.Per 1 cup serving:110 calories.0g sat fat, 0% DV.115mg sodium, 5% DV.14g sugars.Net wt 12.6 oz (357g).
" Give your baby our best protection and fit!Pampers diapers give baby up to 12 hours of protection, so your baby stays dry and comfortable. Pampers Cruisers are designed to move with your baby by adapting at the waist, legs, and bottom. Less bulk than Pampers Baby Dry means they can play freely, with a close fit to their bottom. And with a soft backsheet, baby is sure to stay comfortable. Pampers Cruisers diapers are available in sizes 3, 4, 5, 6, and 7 Extra Absorb Channels help distribute wetness evenlyPampers best fit and drynessUp to 12 hours of protectionUnique 3-way fit adapts at the waist, legs and bottom so babies have the freedom to play their way"
Pop Secret Homestyle Premium Popcorn.Made with a sprinkle of salt and a taste of butter.Natural and artificial flavor.3.2 oz (90.7g) bags.